The Houston Astros visit Angel Stadium on Friday, August 25, 2017 to play the Los Angeles Angels. The probable starters are Collin McHugh for the Astros and Parker Bridwell for the Angels. The opening line for this matchup has Houston at -101 and Los Angeles at -109. The Astros have a 63-55-8 over/under record and a 66-60-0 run line mark. 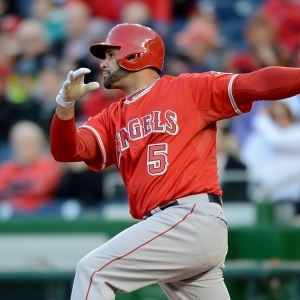 The Angels are 70-55-0 against the run line and have a 59-62-4 over/under record. The Astros have a 77-49 overall record this season. Starting pitcher Collin McHugh has a 1-2 record with an earned run average of 4.01 and a WHIP of 1.31. He has 31 strikeouts over his 33.2 innings pitched and he's given up 34 hits. He allows 9.1 hits per 9 innings and he has a FIP of 3.99. The bullpen has an earned run average of 4.10 and they have given up 367 base hits on the year. Teams are hitting .226 against the bullpen and they've struck out 524 hitters and walked 161 batters. As a team, Houston allows 8.2 hits per nine innings while striking out 10 batters per nine innings. They are 10th in the league in team earned run average at 4.1. The Astros pitchers collectively have given up 1,028 base hits and 514 earned runs. They have allowed 149 home runs this season, ranking them 20th in the league. Houston as a pitching staff has walked 410 batters and struck out 1,249. They have walked 3.3 men per 9 innings while striking out 10 per 9. They have a team WHIP of 1.28 and their FIP as a unit is 3.87. As a team Houston is hitting .287, good for 1st in the league. The Astros hold a .491 team slugging percentage and an on-base percentage of .351, which is good for 1st in baseball. They rank 1st in MLB with 10.0 hits per game. Josh Reddick is hitting .301 with an on-base percentage of .346. He has 117 hits this season in 389 at bats with 62 runs batted in. He has a slugging percentage of .476 and an OPS+ of 126. Jose Altuve is hitting .358 this year and he has an on-base percentage of .418. He has totaled 172 hits and he has driven in 67 men in 481 at bats. His OPS+ is 170 while his slugging percentage is at .565. The Astros have 1,259 hits, including 269 doubles and 198 home runs. Houston has walked 403 times so far this season and they have struck out 844 times as a unit. They have left 869 men on base and have a team OPS of .842. They score 5.62 runs per contest and have scored a total of 708 runs this year. Los Angeles has a 65-62 overall mark this year. With an earned run average of 2.92, Parker Bridwell has a 7-1 record and a 1.18 WHIP. He has 47 strikeouts over the 77 innings he's pitched. He's also given up 73 hits. He allows 8.5 hits per nine innings and his FIP stands at 4.55. The bullpen has an earned run average of 3.77 and they have given up 379 base hits on the year. Teams are hitting .235 against the Angels bullpen. Their relievers have struck out 445 batters and walked 127 opposing hitters. As a team, Los Angeles allows 8.6 hits per nine innings while striking out 8.1 batters per nine innings. They are 11th in the league in team earned run average at 4.12. The Angels pitchers as a team have surrendered 1,077 base knocks and 518 earned runs this season. They have given up 174 home runs this year, which ranks 7th in Major League Baseball. Los Angeles as a staff has walked 372 hitters and struck out 1,022 batters. They give up a walk 3 times per 9 innings while they strike out 8.1 per 9. Their team WHIP is 1.28 while their FIP as a staff is 4.40. As a team, they are batting .244, good for 27th in the league. The Angels hold a .395 team slugging percentage and an on-base percentage of .315, which is good for 23rd in baseball. They rank 27th in MLB with 8.2 hits per contest. Mike Trout comes into this matchup batting .330 with an OBP of .457. He has 97 hits this year along with 60 RBI in 294 AB's. He maintains a slugging percentage of .670 with an OPS+ of 200. Andrelton Simmons is hitting .292 this season and he has an OBP of .346. He has collected 136 hits in 466 at bats while driving in 57 runs. He has an OPS+ of 113 and a slugging percentage of .448. The Angels as a unit have 1,038 base hits, including 190 doubles and 144 homers. Los Angeles has walked 405 times this year and they have struck out on 916 occasions. They have had 817 men left on base and have an OPS of .710. They have scored 4.33 runs per game and totaled 550 runs this season.